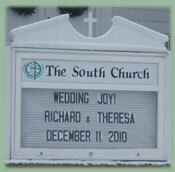 The South Church is a friendly church on a quiet street in Mount Prospect, Illinois. Inside you will find a community of people who are open, inclusive and affirming of all persons. 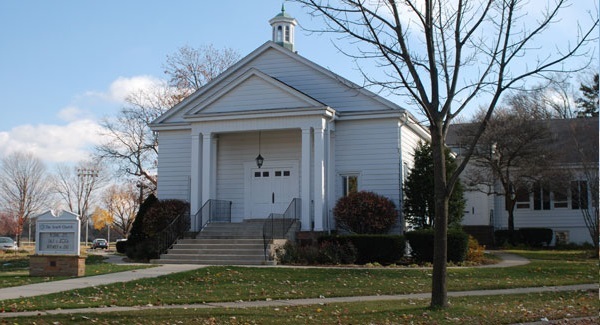 Join us for Worship every Sunday at 9:30 a.m.
A community of faith where people can express and explore their theological differences in a safe and supportive environment. An open communion celebration on the first Sunday of every month...all are invited to participate. Every First Sunday we bring canned goods, boxed foodstuffs, and household items to the church for donation to local food pantries. Donations can be made at any time and placed in the baskets in the narthex or next to the church office. Foods that are high in protein, such as canned meat and fish, are especially needed. Actions Speak Louder Than Sign Boards! Get involved...the world is run by those who show up! It is better to fund education than prisons.